A very Happy Gudi Padwa to all of you! May the New year bring along good health and loads of happiness! Every Indian festival is celebrated with spiritual grace and loads of good food which is shared with family and friends. On Gudi Padwa, the star of the meal is Shrikhand - Puri. 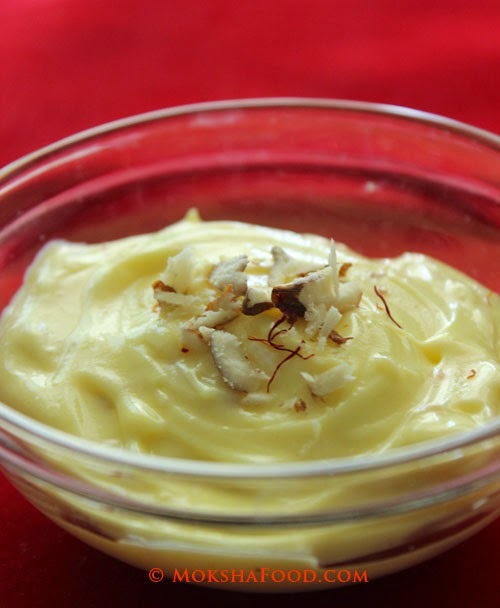 Shrikhand is a yogurt based dessert which is flavored traditionally with saffron, cardamoms and nuts. This is a humble yogurt transformed into a decadent richly flavored dessert. You just cant have enough of this creamy goodness. And it is slurped up with fried bread (puris). 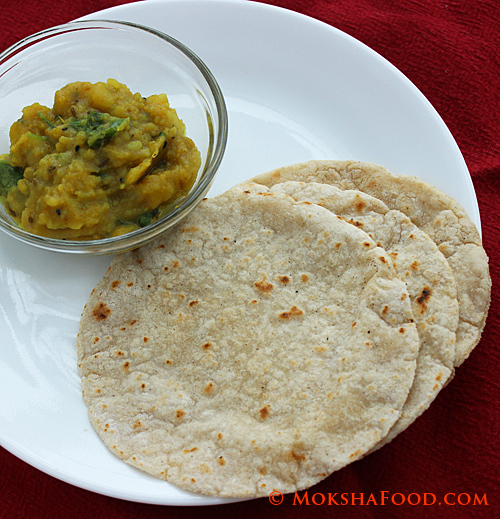 This is my first attempt at making these traditional recipes from scratch. The main challenge was making gluten free puris. I used Amaranth flour or Rajgira which is traditionally used in meals during fasts. Amaranth is way more nutritious than wheat and is gluten free. My family loved both the recipes and I rejoiced on seeing their bowls licked clean. Pour the yogurt in a muslin cloth. Bring the sides together and tie into a knot. Hang this over the kitchen sink to drain off the whey. Leave it hanging for 2-3 hours. When ready, warm up the milk and soak the saffron strands in it. You can slightly crush the strands to get more of the saffron hue and flavor. The aroma of the saffron released transports me into another world. This exotic spice is my favorite but have to reserve it for special occasions as its very pricey. The milk should turn into a lovely yellowish orange color. Collect the hung curd into a bowl. Add the sugar, saffron infused milk and mix well till creamy. Open the cardamom pods and crush the seeds in a mortar and pestle to get a fine powder. This is my second favorite fragrant spice. I use it very often in my cooking. Add cardamom powder and nutmeg powder to the yogurt mix. 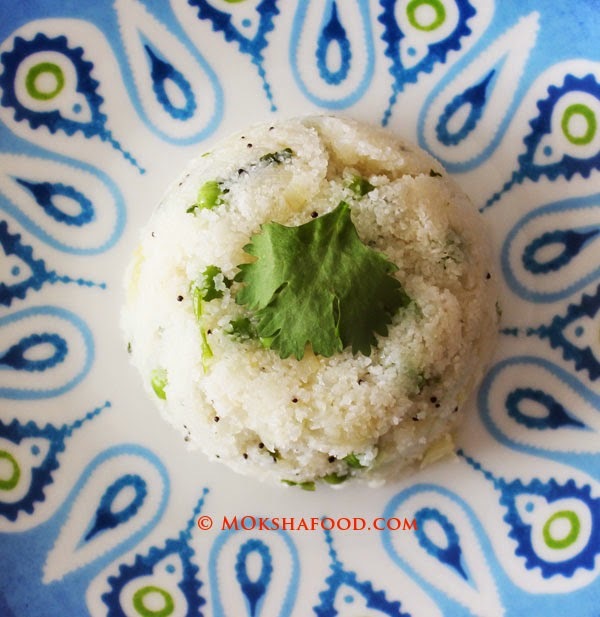 Traditionally charoli seeds are used for shrikhand. These are seeds of a tree called Buchanania lanzan. They are lentil-sized, slightly flattened and have an almond-like flavor. Since I couldn't find them at the Indian grocery store, I just substituted them with chopped almonds. Shrikhand is ready and can be served as is or chilled after a brief refrigeration. 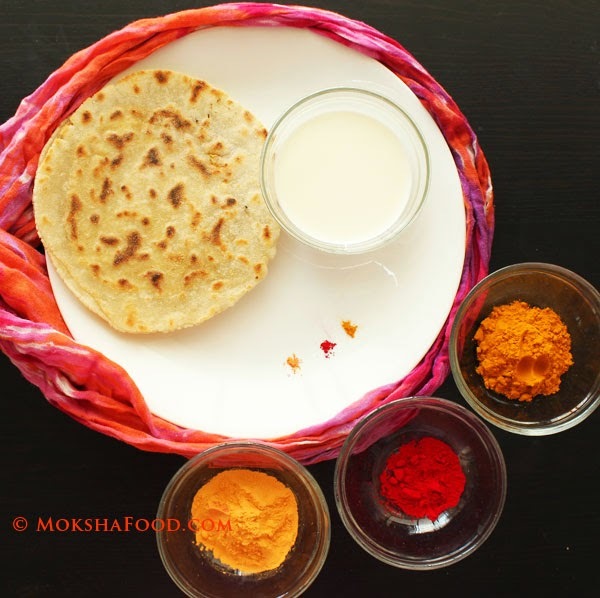 Mix all the ingredients together and make a smooth dough by adding warm water little by little.The dough for puris is prepared slightly firmer than that for chapatis/rotis. Let the dough rest for 10-15 mins. Pinch out small lemon sized balls of the dough. Dust the rolling surface and rolling pin with flour. Gently flatten the dough balls into small disc with a rolling pin. They should be atleast 1/4th of a cm thick. Heat up oil in a kadai or wok to a high temperature. Gently drop these disc/puris into the heated oil. It should sizzle immediately. If it doesn't that means the oil is not heated enough. Usually I put a tiny ball of dough in the oil and if it sizzles then i know the oil I ready. Gently tap the puri. This will help it puff up. Turn over and fly them for a 15-20 sec. Remove and place on kitchen towels to soak excess oil. Repeat the procedure to make more puris. 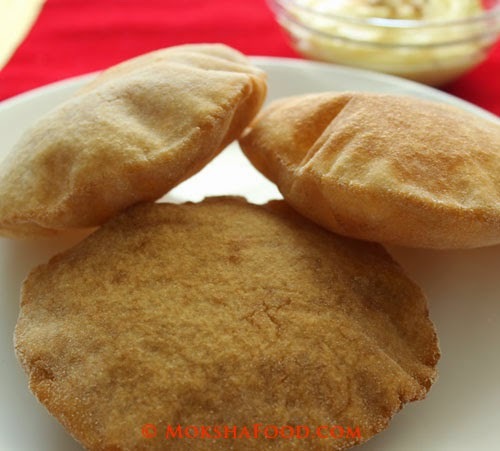 Note: If you feel the puris are darkening too fast, reduce the heat. Its a little tricky maintaining the heat on an electric stove like mine. Gas stoves are usually better at this. 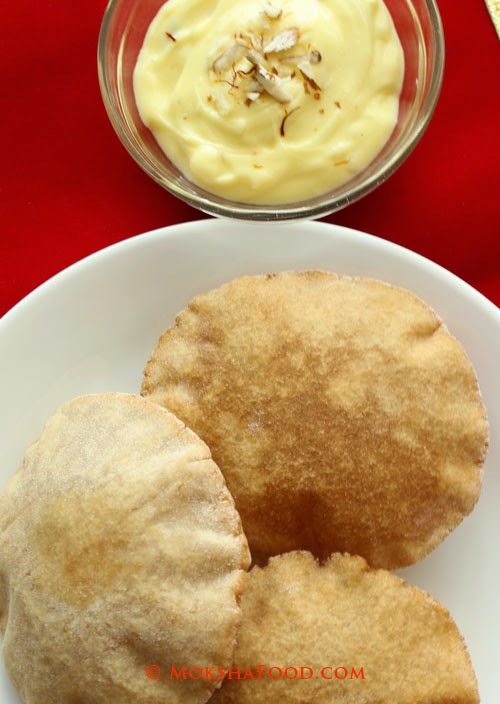 Serve hot puris with chilled shrikhand and begin your new year on a sweeter note!